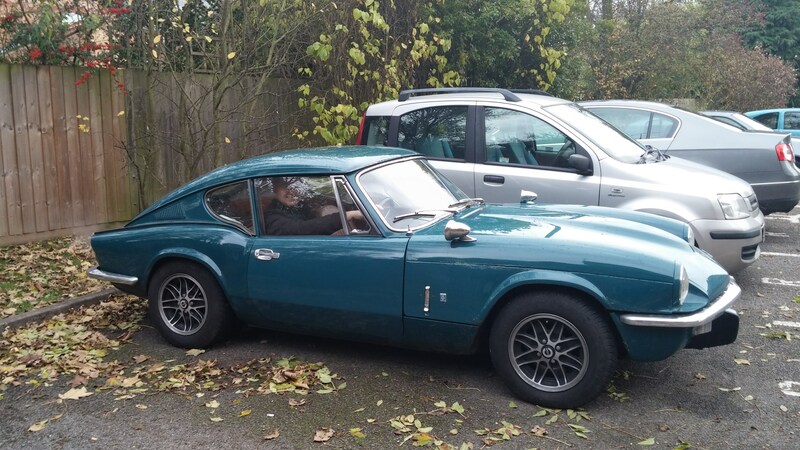 Triumph GT6 – Daft Ideas. For about 3 years now, I’ve been looking to buy a classic British sports car. This desire was spawned by seeing how much fun Matt was having with his MG.
There’s something really special about “classic” cars, there’s an aesthetic you just don’t tend to see in modern cars. I’m sitting behind the wheel. Driving this car is an incredible feeling. I’ve previously only driven cheap, modern cars that have been thrashed by a series of learner drivers. This car has no power steering, no servo assist on the brakes, and she’s pretty low to the ground. The engine is bigger than anything I’ve driven before (Except 4x4s), and so driving was at first a little intimidating. You can feel everything that’s going on with the car, I feel like I’m connected directly to the road. There’s no float, and there’s feedback I can actually feel whenever anything happens, I can feel the road quality. Not that I’m a fantastic driver who can feed all this back into how I drive or anything, but as a sensation it’s fantastic. There’s a lot of work needs doing, and I’m going to write up a lot of what I get do here, for posterity, and to let my friends know.